This personalised Santa shot glass makes the perfect stocking filler for anyone who enjoys a Christmas tipple! Or fill it with a special something and leave it out for Santa himself! 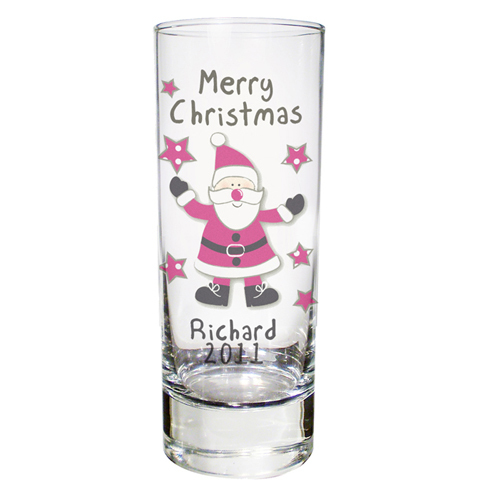 The shot glass features the words "Merry Christmas" as standard but you can personalise with any two lines of text, 12 characters on each line. It's a nice idea to get one for the whole family and use as a place setting on your Christmas table, fill the children's with milk or juice, and fill yours with whatever takes your fancy! Personalise with any two lines of text, 12 characters on each line.